For no particular reason, I pre-ordered the Star Wars: The Force Awakens (Blu-Ray/DVD/Digital HD) on literally the very last day of February. Shortly thereafter, Target sent me (and presumably everyone else who pre-ordered) an email announcing a special Target Exclusive version that would include with a bonus disc featuring 20 minutes of content unavailable anywhere else. It will also feature exclusive collectible packaging. To get it one had to cancel their order and re-order this new version to which I said F to the No. Shortly thereafter another email came out clarifying that instead of a bonus disc, "the bonus content will be available as a digital download. 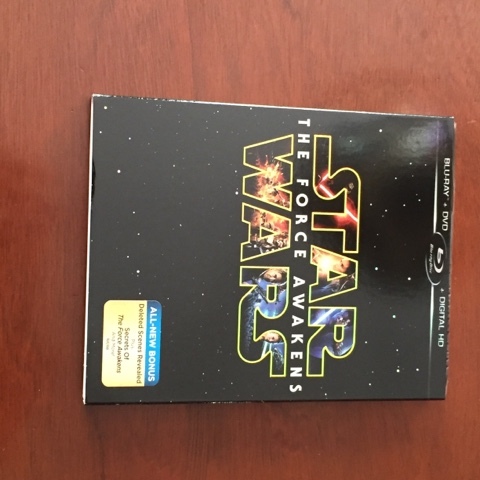 The packaging for this Target-exclusive version will contain an insert with a unique code and URL for downloading the bonus content via Disney Movies Anywhere." Again, not impressed. 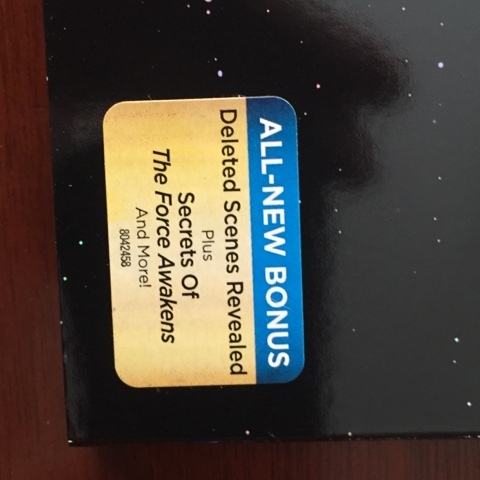 What came in the mail today has this sticker on it so I'm not sure if they just sent everyone some additional content or if there is still the bonus BONUS content out there but this will suit my purposes just fine.